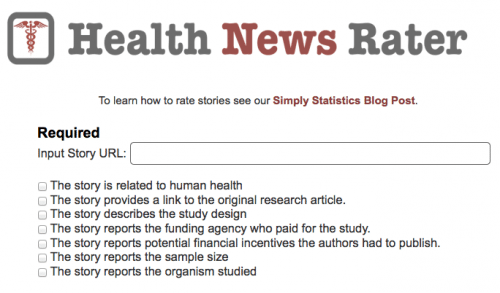 It’s a new site run by biostatisticians and it’s called the Health News Rater. We welcome any new players in this field of trying to improve not only health care journalism – but the impact of that journalism on citizens/consumers/patients. 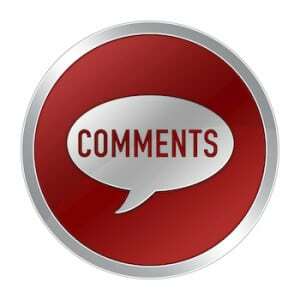 Our reviews are conducted by journalism peers and by medical evidence experts. But we love the “wisdom of the crowds” input as well. We also email the reporter or someone from each news organization that published a story we review – an automatic feedback mechanism that is our best attempt to foster quality improvement. It would be useful if the new project provided such feedback directly to the sources as well. We over at Simply Stats love the work that healthnewsreview.org is doing. 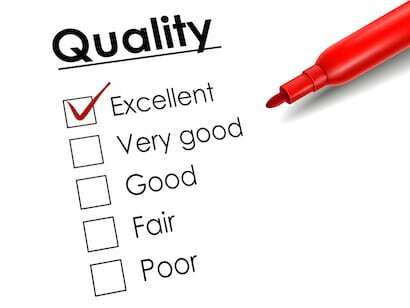 Our project is designed to compliment the more substantive approach that expert review this site can give. We are amateurs when it comes to web development so our project is still in its infancy. But we do think that crowd-based rating can be a nice compliment to expert review, especially in reporting of the very basic information we ask of users. We are also looking for help in development of our site, we want to stay simple, but make the slight less amateur if there are any web developers who are interested. We have added a link to HealthNewsReview on our help page!